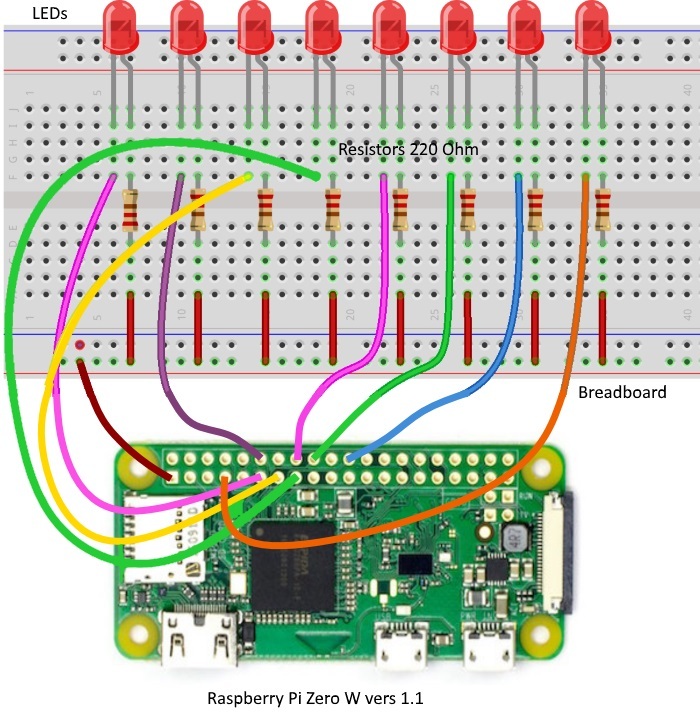 We will learn how to make eight LEDs blink in various effects as you want with Raspberry PI Zero W board. Copy and paste the code from flowingledlights.py or flowingledlights1.py to opened window. Since it is a Python code, you need to be careful with the Tab characters as it is important to group the instruction as blocks in Python. 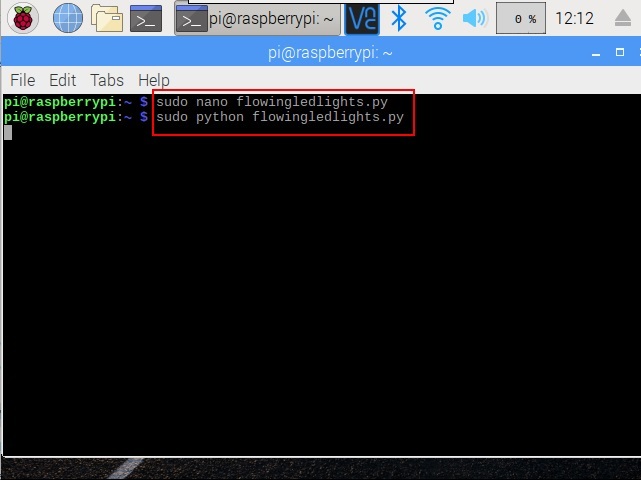 You will see that eight LEDs blink in different effects. 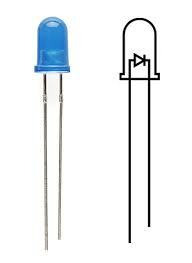 Set the pins to low level in turn by programming, and then LED1-LED8 will light up in turn. 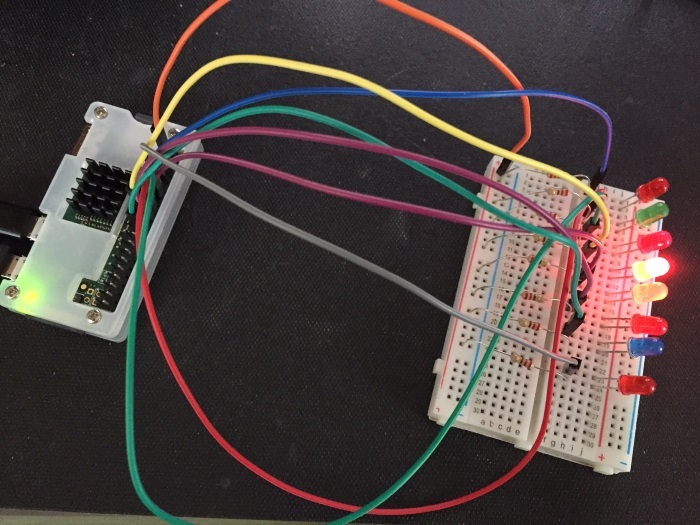 You can make eight LEDs blink in different effects by controlling their delay time and the order of lighting up. 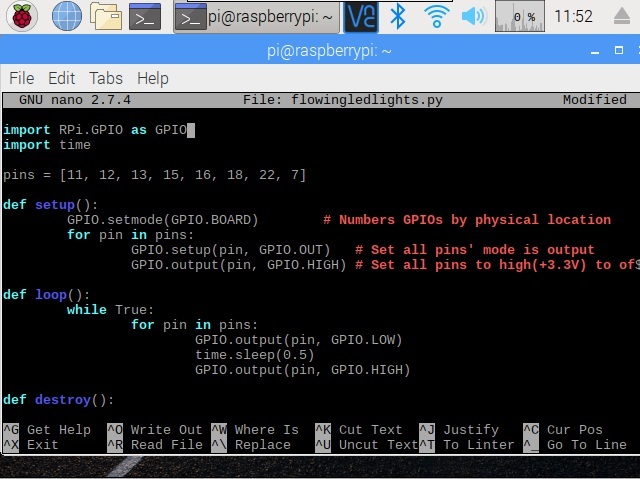 We have learnt how to make eight LEDs blink in various effects as you want with Raspberry PI Zero W board.